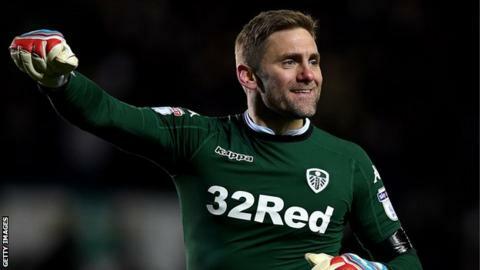 Huddersfield Town have signed former England goalkeeper Robert Green after his contract at Leeds United was mutually terminated. The 37-year-old has signed a one-year deal with the option of a further year's extension. Green, who has 12 England caps, played every Championship game for Leeds last season. "He is a very experienced guy. He knows the role I expect from him," Huddersfield manager David Wagner said. "I think it makes total sense to bring Rob in because after Jonas Lossl, who has done an excellent job so far, we have very young goalkeepers with Joel Coleman and Ryan Schofield." Meanwhile, Leeds have replaced Green by re-signing former Preston and Bolton keeper Andy Lonergan on a two-year contract. Lonergan, 33, made 35 league appearances at Elland Road in the 2011-12 campaign, and has joined from Wolves.